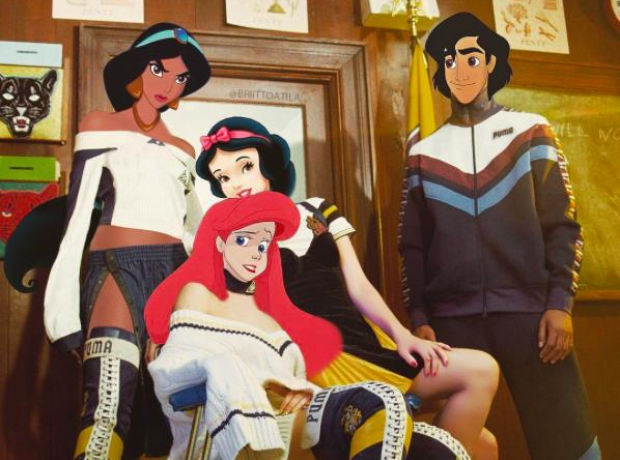 This Instagram account turned iconic Disney characters into Fenty Puma models. 2. This Instagram account turned iconic Disney characters into Fenty Puma models. Reposted by the official Fenty Puma account, the snap by @briittoatila features Jasmine, Aladdin and co. decked out in Rihanna's new season gear.